Turning Vision Into Action: Growing Your Emotional Intelligence in 2012-2013! Growing Your Emotional Intelligence in 2012-2013! This year, will you become a school leader and a teacher that chooses to build relationally into others? I hope so. This pursuit is much easier for some teachers and leaders than it is for others. Becoming more relationally astute just doesn’t come naturally for some. It takes a deeply personal commitment to work on improving your personal relational intelligence. According to Daniel Goleman and his colleagues (2002), emotionally intelligent teachers and leaders give praise, create a positive climate, criticize constructively, provide direction, support people’s needs, and “frame the group’s mission in ways that give more meaning to each person’s contribution—or not. All these acts help determine a teacher or school leader’s primal emotional impact”. Furthermore your emotional intelligence drives how other faculty and students feel and perform. Paraphrasing Goldman’s research, how well teachers and school administrators manage their moods, effects everyone else’s moods and becomes not just a personal matter for you, but is a significant and very public factor in how well your school will do. Check your mood on that back to school night. It really matters. The success of your students, your fellow faculty, staff, or administrative colleagues is predicated on their relationship with you and the emotional climate you create and support for your area of the school as a teacher or administrator. That brings deeper meaning to your responsibility to serve your students, your parents and each other well. In 2012-2013, can you move beyond the fluctuations between good and not so good relational days, and become a person of significant influence on your parents, students and colleagues? So does Goleman (2001) in The Emotionally Intelligent Workplace. In his framework for emotional intelligence, Goleman identifies personal competencies for improvement including empathy, service orientation, developing others, conflict management, teamwork, and collaboration. 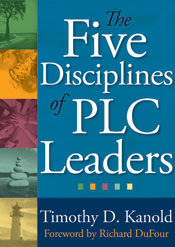 Development of these competencies begins with your classroom or school based leadership as a model, and it will be your influence in 2012-2013 that will subsequently serve to build these competencies in others. 1. “Listen without interrupting.” Record and observe your next leadership team, teacher team meeting or student small group team activity. How often do team members interrupt one another? How could team members better listen to one another? 2. “Practice empathy through deliberate inquiry.” How often do your leadership team, teacher team or student team members seek first to understand the meaning and intent of the words of others? How often do you hear, “Tell me more” or “How could I help you in this work or in your thinking about this problem?” in daily conversations? 3. “Never betray a private conversation.” Is the fine line between what is for public knowledge and what is for private knowledge crystal clear for all team members? As teams pursue greater transparency, how well does everyone respect the confidences of private conversations—including those conversations of the team? 4. 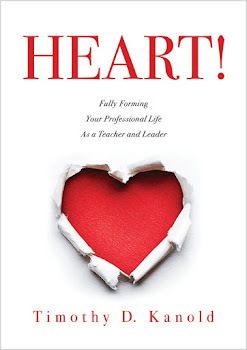 “Exhibit genuine passion for the students and colleagues you serve.” How well do members of your leadership, teacher and student teams exhibit genuine interest and pay private and personal attention to the individuals in their sphere of influence? You can get better relationally. These four practices (adapted from Reeves, 2006) provide a great basis for measuring how you and those adults and students on your various team(s) are doing. You can become a more intimate teacher and leader and relate better to others. It really is a matter of conscious choice. During 2012-2103 you must ask, “How are my moods effecting those around me, and, exactly who are those others that I am to influence and teach to become more relationally intelligent this year?” Then let them know. They are depending on you to be at your very relational best this year!